Spring is everywhere with the hillsides blooming and your garden loving the sunshine after winter’s rains. Patty Hawley, our Garden Manager, makes the most of this season by creating inviting wreaths placed around the Ranch. You can too! 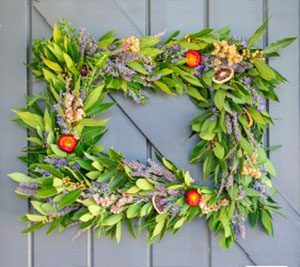 Join us for this special spring wreath making workshop led by Francesca Perez of Francesca’s Flowers & Gardens in Santa Rosa.